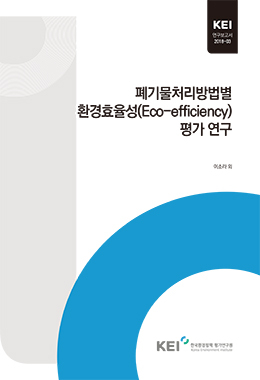 IPCC 보고서에서 기후변화는 인류가 당면한 가장 시급한 문제 중의 하나라고 하였다. 나아가 기후변화에 따른 건강영향 연구들은 복합적으로 상호작용하므로 여러 인과관계의 건강영향을 고려해야 한다고 하였다. 본 연구에서는 우리나라 6대 광역시 중 4대도시인 서울, 부산, 대구, 인천을 대상으로 기온 상승과 오존 농도 증가에 따른 건강영향을 분석하고, 기온의 역치수준을 기준으로 기온 수준에 따른 오존이 건강에 미치는 영향을 정량적으로 분석하여 비교·평가하였다. 기온 상승과 오존 농도 증가에 따른 건강영향은 포아송 회귀 모형(poission regression model)을 적용한 시계열 연구로 평가하였다. 기온 상승과 오존 농도 증가에 따른 건강영향의 상호 관련성 경향은 반응표면모형(response surface model)을 적용하여 파악하였다. 또한 개별 및 기온과의 상호작용으로 인한 오존의 건강영향은 기여율로 환산하여 비교하였다. 건강영향은 크게 사망과 천식 입원을 중심으로 살펴보았다. 사망의 경우, 전체 연령집단에서 기온이 1℃ 상승하면 일평균 사망자수가 2.59~11.3% 증가하였으며, 오존 농도가 10ppb 증가하면 일평균 사망자수가 0.37~2.03% 증가하였다. 또한 기온 상승과오존 농도 증가의 일평균 사망자수 증가는 전체 연령집단보다는 민감집단으로 알려진65세 이상 연령집단과 전체 연령집단의 심혈관계 관련질환 사망 발생에서 더 높게 나타났다. 서울, 부산, 대구, 인천 4개 도시에서 모두 기온 상승과 오존 농도 증가에 따른 사망영향에 상호 관련성을 보였다. 기온 역치수준을 기준으로 구분하여 사망에 대한 오존효과를 보면, 기온 역치수준 이상에서 오존 농도 증가는 건강영향에 선형관련성을 보였다. 반면에 기온 역치수준 미만에서 오존 농도와 건강은 역치관련성을 보였다. 또한 기온수준별 사망에 대한 오존효과를 비교하기 위해 일별 사망자수 평균에 대한 일별 초과사망 자수 발생 기여율을 산출하였다. 서울, 부산, 대구, 인천의 전체 연령집단에서 오존농도 10ppb 증가로 인한 기여율은 각각 0.58%, 0.53%, 1.28%, 0.37%이었고, 기온역치수준 이상에서는 2.22%, 2.00%, 3.32%, 1.81%, 기온 역치수준 미만에서는 0.49%, 0.88%, 0.69%, 0.20%로 추정되었다. 65세 이상 연령집단과 전체 연령집단의 심혈관계 관련질환 사망 발생에서 기온에 따른 오존 영향의 차이가 더 뚜렷하게 나타났으며, 기온 역치수준 미만보다 기온 역치수준 이상에서 오존의 사망 발생 기여율이 1.7~9.7배 높았다. 천식 입원의 경우, 전체 연령집단에서 기온 1℃ 상승하면 일별 천식 입원 발생 건수는 -1.61~2.89% 증가하였으며, 오존 10ppb 증가 시에는 3.00~6.07% 증가하였다. 오존농도 10ppb 증가로 인한 일별 천식 입원에 대한 기여율은 서울, 부산, 대구의 전체연령집단에서 각각 1.43%, 0.82%, 1.79%이었고, 기온 역치수준 이상에서는 2.65%, 1.15%, 1.53%, 기온 역치수준 미만에서는 1.07%, -0.43%, 0.53%로 추정되었다. 서울에서 오존의 천식 입원 영향이 기온 역치수준 미만보다 기온 역치수준 이상에서 1.21배 높았다. 기온과 대기오염에 관한 경보체계를 살펴본 결과, 2008년과 2009년 서울에서는 폭염특보가 총 22일이 발령되었고, 오존경보는 13일이 발령되었다. 기온이 상승하면 오존으로 인한 건강영향은 선형관련성으로 낮은 오존 수준에서도 건강영향이 나타나며, 기온이 낮은 날에 비해 기온이 높은 날에 오존 농도로 인한 건강영향이 커지는 것으로 나타났다. 그러므로 기온 상승과 오존 농도 증가에 따른 건강영향을 사전에 보호하기 위해서는 폭염특보와 오존경보가 연계된 통합적 개선이 요구된다. 하지만 폭염특보와 오존경보의 동시 발령은 단 6일(26%)에 불과했다. 기온은 오존 농도 증가에 따른 건강영향에 대한 효과수정자 역할을 하는 것으로 확인되었다. 기온 수준이 높을수록 오존의 건강 악영향이 더 높게 나타났다. 본 연구는 기후변화와 대기오염의 상호작용으로 인한 건강영향에 대한 적응역량 강화의 필요성을 제시한다. Patterns of air pollutions are driven by weather. Particularly, ozone are correlated with temperature. Along with this, both temperature and ozone are associated with human health. Therefore, an examination of potential additive effects or confounding effects between temperature and ozone is necessary. Several studies have been suggested that apparent ozone effects could be to heat or an interaction between temperature and ozone could be plausible. In this study, we examined whether temperature modifies the associations between ozone and health outcomes. We used a time-series analysis to examine the association between ozone or temperature and health outcomes. The data consisted of daily time series of mortality counts, hospitalization count for asthma, weather variables, and air pollutants from January 1999 to December 2008 in Seoul, Busan, Daegu, and Incheon. We used a Poission generalized additive model(GAM) to fit a bivariate response surface in order to examine patterns of interaction of both ozone and temperature on health outcomes. Temperature showed significant effects on summer mortality and hospitalization for asthma. Daily variations in ozone within the range currently occurring in Korea were significantly associated with an increased risk of death and asthma hospitalization. To quantitatively estimate the ozone-health outcome associations across different temperature levels, we separately fitted the stratification model. When temperature was high (above the threshold temperature), for a 10ppb increase in ozone concentration, the contributions of mortality were 2.22% (95% confidence interval [CI]: 1.27~3.17%), 2.00% (95% CI: 1.01~2.99%), 3.32% (95% CI: 1.86~4.75%), and 1.81% (95% CI: 0.40~3.21%) in Seoul, Busan, Daegu, and Incheon, respectively. When temperature was low (below the threshold temperature), for a 10ppb increase in ozone concentration, the contributions of mortality were 0.51% (95% CI: 0.11~0.92%), 1.18% (95% CI: 0.27~2.08%), 0.77% (95% CI: -0.22~1.75%), and 0.48% (95% CI: -0.58~1.53%) in Seoul, Busan, Daegu, and Incheon, respectively. Therefore, ozone effects were 1.7~9.7 times higher at high levels of temperature than at a low level of temperature. In analysis for hospitalization of asthma, the results suggested that the broad pattern of higher ozone effects in high level of temperature remained. Also, temperature effects, ozone effects, and ozone-temperature interactions were higher for elderly people and cardiovascular mortality, which is consistent with previous studies identifying elderly people as more sensitive to air pollution and temperature. The results of this study show that temperature modified ozone-mortality associations. We recommend that public health strategies to minimize adverse health impact of heat and ozone should be considered within control and prevention of air pollution and weather-related health impacts.